2016 was a big year for me in many ways, so rather than just send Christmas cards like I usually do I thought of sending an end-of-year letter instead. I’ve always appreciated getting news from others, and I’m hoping this letter will be meaningful for you. First, an important piece of context. In July of 2015 our family got word that my father had been diagnosed with an untreatable form of pancreatic cancer. We did not expect him to last very long, but to our surprise and delight Papa was still with us for Christmas and New Year’s, and was doing very well. It was a good start to the year. Towards the end of January I was blessed to be able to take a trip to Barbados to visit different sets of friends who have winter homes there. I was originally going to stay in a parish, but a mix up in the timing actually brought an even better opportunity: Bishop Jason Gordon very generously let me stay at his home right near Saint Patrick Cathedral (and a five minute walk from the beach!) I went to be able to get some sun, but I came back with new and renewed friendships. It was truly a blessed time. The first few months of 2016 brought to a close an initiative I began five years ago: the extended pastoral visitation of our parishes. Three parishes remained, and so I got a chance to spend time at Saint Patrick’s (January), Saint Malachy’s (February), and Ascension of our Lord (April). Those five years of visits were very helpful in my ministry, and frankly were a tremendous blessing for me as I got to see first hand the living dynamism of our christian communities. Ash Wednesday brought us into Lent, during which I had the chance to preach a three-day Lenten mission at Saint Edmund of Canterbury parish. As the Church throughout the world was engaged in the Year of Mercy declared by Pope Francis, each evening’s theme looked at some aspect of the mercy God shows us in his love. Evening #1 explored the theme of mercy in the Bible, evening #2 was on the works of mercy in the world, and evening #3 was about living reconciliation – not just the sacrament, but the reality of reconciliation in our life. After each presentation I answered questions from the crowd. It was great to be in teaching mode. Lent led to Holy Week, and soon it was Easter. My father was visibly weakening, but was still with us both in body and in spirit. Our family gathered with joy for Easter dinner, but within a couple of weeks we were gathering again as he took a turn for the worse. Papa died in his sleep on April 9, sometime in the early morning. Saint Maurice parish in Ottawa (Nepean) was absolutely packed for his funeral on April 14. It was an explosion of grace, and while there was sadness there was also a lot of joy. We buried Papa next next day in the family plot at Notre Dame cemetery in Ottawa in a small ceremony attended by family and friends. Despite our sadness, a silver lining soon emerged: my sister announced that she was pregnant with her 3rd child, and was due on Christmas day! Given the timing, it meant that the first person from our family to know would have been my father, from his point of view in Heaven. On the pastoral front, the post-Easter season saw the launch of our first-ever diocese-wide Alpha course (April 3). I had been to London, England the previous year to get to know the leadership of the Alpha movement, and we were now ready to offer the course to the English-speaking sector of Montreal. The course gathered people from across Montreal, Laval, and beyond. It was our hope that this session of the course would let people learn the skills to bring it back to their parishes. I am so grateful to the team that put everything together – one day the Lord will let them know how transformative their labour really was for others. April 26, 2016, was the inaugural general meeting of members for Catholic Action Montreal, a new charity launched with the blessing of Archbishop Christian Lépine to gather the energies of our people to produce practical works of charity. I was elected to the new Board of Directors, with the shared mission to set the vision for the new charity. Exciting times! May was a very busy month. The many celebrations of confirmation keep bishops occupied after Easter, and 2016 was no exception. I was in Toronto on May 10-11 for the annual dialogue between the Catholic and Orthodox bishops, and it was good to connect again with these men that I’ve been blessed to get to know these past few years. I flew to Strasbourg, France, in the last week of May for a session of exams in canon law. I’m happy to report that I passed, meaning that I completed all the requirements of year 2 of my program. Of course, it did take me 6 years to do it, and even with that I was only 2/3 of the way to completion… but more on that later. June brought other ministry initiatives. On June 7, Catholic Christian Outreach (CCO) launched its new presence in Montreal, working in conjunction with the Catholic chaplain of Concordia University. I flew to Halifax for the first-ever Divine Renovation conference June 13-14, where I had a chance to speak as part of a panel and where I got a chance to connect with a Montreal priest who was completing a 6-month internship to be able to bring the Divine Renovation approach back home with him. I got back just in time to be one of the principal co-consecrators for Bishop-elect Alain Faubert, who became a new auxiliary bishop for Montreal on the evening on June 15. June 25 saw the kickoff of a new camping season at Camp Kinkora, and I was blessed with the chance to say mass for the staff of the camp as it started the season with new management. 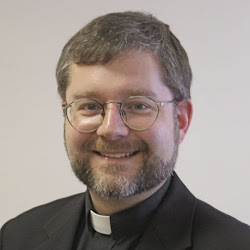 Finally, I was in Philadelphia June 29 and 30 for the Catholic Leadership Roundtable annual meeting, where I had a chance to be interviewed for my take on the link between managerial practices and church culture. Philadelphia also brought a nice surprise, in that to my delight the Petit chanteurs de Mont Royal were in town for some concerts. And then, July. And vacation. And probably one of the best spiritual retreats I’ve ever had. The Jesuits have a house in Guelph, Ontario, and that’s where I followed the Spiritual Exercises of Saint Ignatius for eight days. Honestly, those days were a balm on my soul. I was really pooped, and all that work meant that I hadn’t really had the time to properly grieve the loss of my father. Those days in Guelph gave me a chance to rest, to recuperate, and to reconnect with the Lord. I am grateful beyond words to those who made it all happen. I got back to Montreal in August and found myself facing a choice. Archbishop Lépine had asked Bishop Faubert and myself to each become a Vicar General for the archdiocese. This meant that I would have to leave my role as Episcopal Vicar to the English-speaking faithful, a calling that had brought me great joy over the past five years (admittedly with a few challenges too). Archbishop Lépine and I had discussed this change prior to the July vacation, so it was one of the questions I brought with my on my retreat. I began my new role on September 1, 2016. The honeymoon, such as it was, didn’t last long. The next day (September 2) I got a call from my sister Miriam. Through her tears she informed me that she was already in labour – at only 23.5 weeks, perilously close to the edge of viability for the baby. The pains subsided shortly after, but the threat of a severely premature birth hung over us. I headed to Ottawa as soon as I could, and while I was visiting Miriam on Monday, September 5, the labour pains began again. Little baby Temperance was born that day, weighing only 1.5 pounds (680 grams). She was rushed to the neonatal intensive care unit (NICU) of the Ottawa General Hospital, where she would spend the next several months learning to breathe, to eat, and generally to be a baby. It was a stressful time, especially for my sister and her family. Still, people rallied to help them. A meal train began to take care of the cooking for a while, and a GoFundMe campaign was launched which raised over $10,000 to help them with expenses. Some of the neighbourhood kids even did a lemonade stand fundraiser to help do their part. I am eternally grateful to all those who offered prayers and material support for Temperance and her family. While that drama was unfolding in Ottawa, my work as a bishop kept up its usual crazy September pace. I am the Bishop-promoter of the Apostleship of the Sea for Canada, a ministry which took a new step forward when we both hosted a gathering for port chaplains at the beginning in September as well as a special lunch for bishops with port chaplains during the plenary meeting of the Canadian Conference of Catholic Bishops in Cornwall at the end of the month. I also preached a 4-day mission in the middle of September at my parish of Our Lady of Fatima, and finally I headed to Strasbourg, France, once again to start the third (and final) academic year of my degree in canon law. I’ll be honest, as I was boarding the plane for Paris I wondered if I needed my head examined, because this third year would involve one trip of a week’s duration per month until March (i.e. seven times!). Still, this was another thing I had prayed about during my summer retreat, and I really felt that God wanted me to do this – so off I went. October brought with it a wonderful grace to which Our Lady of Fatima parish had been working for several months: the celebration of the dedication of our parish church on Thursday, October 13, the 99th anniversary of the Miracle of the Sun at Fatima. The Sunday after, October 16, the parish celebrated the living stones that make up the community by hosting an intercultural day, showcasing the many nations and cultures that make up the parish. It was amazing, and as I boarded the plane that evening to France for trip two of seven, I did so with real joy in my heart. Not long after returning from France seven days later, I was headed to the airport again, this time to speak alongside my good friend Glenn Smith at a conference in New York City run by an Evangelical think-tank dedicated to urban missionary work. It’s rare that a Catholic bishop gets a chance to address a couple of thousand evangelical pastors, and I was truly honoured to have the chance. It was also my first-ever chance to see the Big Apple, and staying at a hotel right near Times Square added something special to the experience. The month of November brought with it a truly extraordinary experience: Montreal’s second Parish Vitality Conference (November 10-12). With access to workshops, speakers, and a rally gathering our movements and associations, 250+ attendees explored how we can transform our love for our parishes into practical movement forward for their growth and vitality. Just a few days before, Father Ray Lafontaine was announced as my successor for the pastoral leadership of the English-speaking Catholics of our Archdiocese, and so the conference served as a good occasion to “pass the torch”. I congratulate the team who did such amazing work on the conference – I am so proud of you. The fact of no longer having two jobs meant, of course, that now I could bring greater focus to my role as Vicar General for economic and administrative affairs. And there was plenty of work to do! My 3-5 year action plan was approved, giving the green light to how we would organize things in the months ahead. I worked on drafts of new policies for human resources and document control, with other implementation plans to follow. And I had two more week-long trips to France, one toward the end of the November and another three weeks later, in December. There was never a dull moment, including a chance to present to a parliamentary commission in Quebec City (December 7, my 15th anniversary of priesthood) and to connect with the Department of Canadian Heritage in Ottawa, where I met Minister Mélanie Joly (December 8). All that administrative stuff began to die down as Christmas approached, and it was with a deep sense of satisfaction that I joined my parishioners in prayer for the masses of the Christmas weekend. I made it to Ottawa on December 27, to spend the few remaining days of the year with family. People asked me what I was planning on doing for that time, and I answered, “I’m going to hold Temperance in my arms. I have no other plans for the rest.” And so I did, a moment that was definitely a highlight of the whole year. 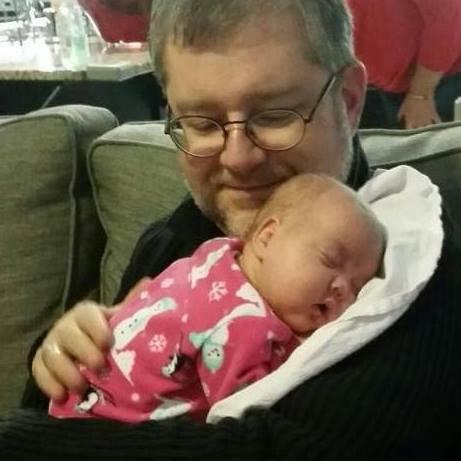 Little Temperance, you will recall, was originally due on December 25, and holding her was my best Christmas present ever. Like I said, 2016 was a big year, and a tough one. Lots more could have been said. I want to thank all those who supported me and my family with their friendship, prayers, and patience. 2017 already promises to also be a big year as well, so stay tuned!